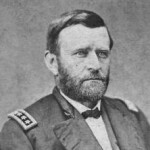 Attack: General Ulysses S. Grant and 120,000 Unions soldiers will undertake the campaign of attrition against Lee that would be the beginning of the end for the CSA . Lee has just 65,000 soldiers approx. and the losses will be heavy for both sides, especially the Union. Grant will keep hitting Lee’s “left flank” and will never again lose contact with Lee and the Confederate Army. He states to Lincoln “there is no turning back”. Grant orders Meade to follow Lee, “where Lee goes..you go”. The first battle of his “Overland Campaign” devised by Grant and President Lincoln to assault the Confederates at several points and to keep working them down while advancing into Virginia toward Richmond. Battle of the Wilderness starts the morning of May 5, especially along the Orange Turnpike and later the Plank Road as Union Generals Hancock and Meade engage CSA Generals R. Ewell and A.P. Hills corps. As the battle rages back and forth and night falls, the individual fighting in the darkness illuminated by fires started in the underbrush turns hellish as wounded are burned to death in the dense woods as units fall back. The second days Battle of the Wilderness will start early at 4:45 am on May 6 as Union General Hancock attacks again to finish off Hills decimated corps, but will slam into fresh reinforcements of CSA General James Longstreet’s corp on the right flank. Longstreet himself will be wounded himself that afternoon by friendly fire and replaced, but not before he devised a flanking attack that rolled up the Union flank “like a wet blanket”. Union attacks under Generals Burnside and Warren continued and little advantage was made at great loss, especially when the Union line was again driven back in areas manned by an inexperienced N.Y. division. A march on the night of May 7 and the Union Army is moving but not north to safety, but south to re-engage the CSA Army. Grant is maneuvering away from Lee’s breastworks and toward Richmond. Although suffering from terrible losses with bitter memories, the Union soldiers are thrilled to be marching away from the Virginia battlefield with confidence. They are feeling for the first time that they can believe in their attack, and in their commander U.S. Grant who turns the Union Army southeast, toward Spotsylvania Courthouse. 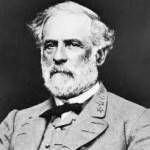 Defense: CSA General Robert E. Lee has been observing the much larger Union Army and has concluded he must engage their advancing forces in “The Wilderness” area. Deep dense woods and tangled underbrush will even his odds a bit as the Union advances will be broken up and have limited use of artillery in the forest areas. The battles for the turnpike areas under Ewell and Hill are furious as they engage during the first 24 hours. Plans of attack from Gordon and Longstreet turn the CSA tide on May 6 as they attack from a sunken railroad bed and roll up the Union flank. The battle is tactically a draw after so much bloodshed and Lee has built breastworks that the Union will now throw themselves against. But Lee watches as Grant starts to withdraw during the night of May 7, marching southeast instead of withdrawing to the safety of Washington,D.C.. He knows well by now he has a formidable opponent in Grant who is positioning his Army of the Potomac for renewed battle with Lee’s reduced Army of Northern Virginia. Grant will continue to attack Lee knowing he can destroy the CSA Army by attrition, as Lee must engage the Army of the Potomac as it draws ever closer to the Confederate capital at Richmond, Virginia. Lincolns’ original plan to first disable the CSA Army and to see Richmond fall as a result is in full motion. will explain the importance of the “Overland Campaign” devised by Lincoln and Grant to wear down Lee’s Army of Northern Virginia. This battle in the forest is the first engagement of that so important campaign of attrition.